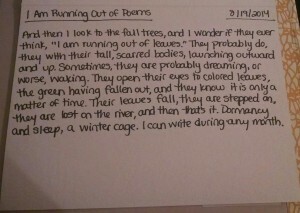 I Am Running Out of Poems. And then I look to the fall trees, and I wonder if they ever think, “I am running out of leaves.” They probably do, they with their tall, scarred bodies, launching outward and up. Sometimes, they are probably dreaming, or worse, waking. 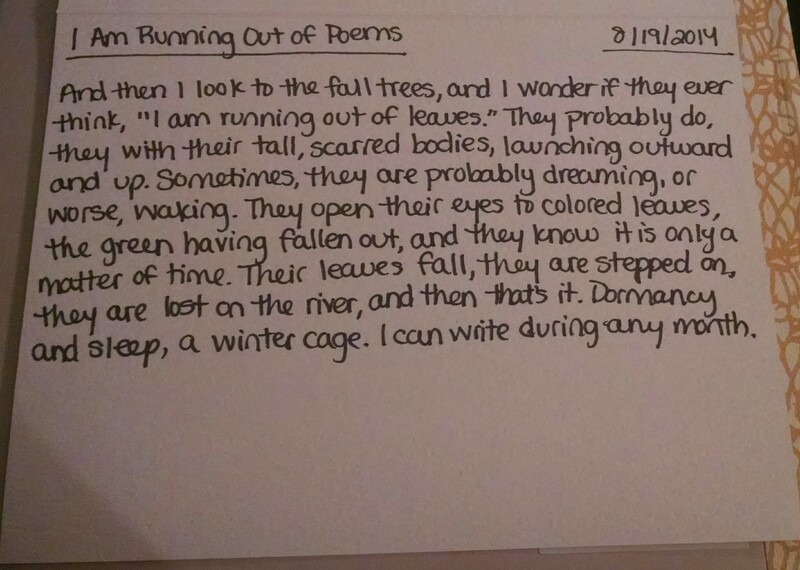 They open their eyes to colored leaves, the green having fallen out, and they know it is only a matter of time. Their leaves fall, they are stepped on, they are lost on the river, and then that’s it. Dormancy and sleep, a winter cage. I can write during any month.